1987 John Deere 540B Grapple Skidder with Winch. This machine runs and starts good, strong hydraulics and cylinders, new valve bank for grapple, Power shift transmission in good working order, tight center section, decent pin on grapple and arch, winch is in good working order - 3/4" main line, 28Lx26 tires, new seat. Contact Erik @ Red Pine Equipment 218-720-0933. Machine is located in Northcentral USA. 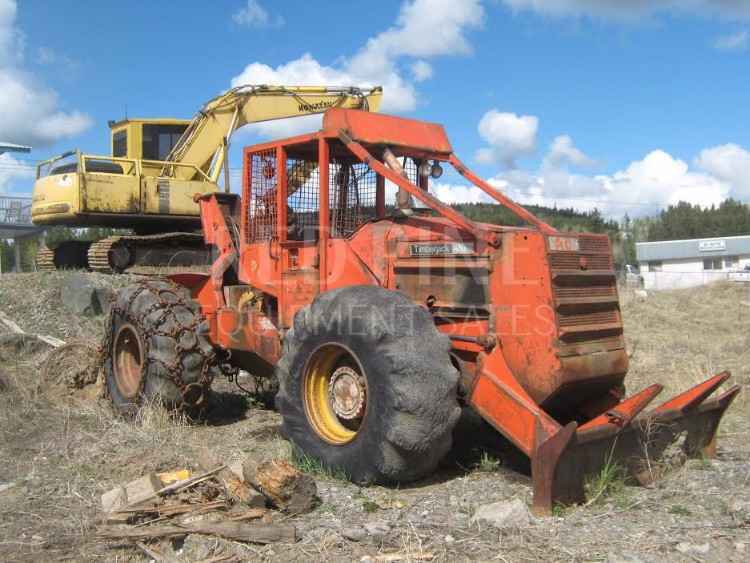 1987 Timberjack 240A Cable Skidder with a Gearmatic Winch. This machine has a Cummins 4BT engine, runs and starts good, 4 speed transmission in good working order, new flywheel and bearing in the clutch, axles and cradles are in good condition, pretty tight center section, little play in the steer pins, 18.4x34 tires, front tires are @ 50%, back tires are @ 10%. Single Diamond front chains and Double Diamond rear chains. Also has a spare tire to go with. Contact Erik @ Red Pine Equipment 218-720-0933. Machine is located in Northeast USA.